Looking for the best hotels in Prague? We are here to help! 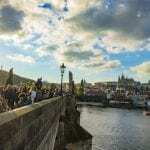 Prague is an incredible destination for everyone from budget travelers, to families, to couples, to business travelers. As such, there are accommodation options for every budget in Prague. 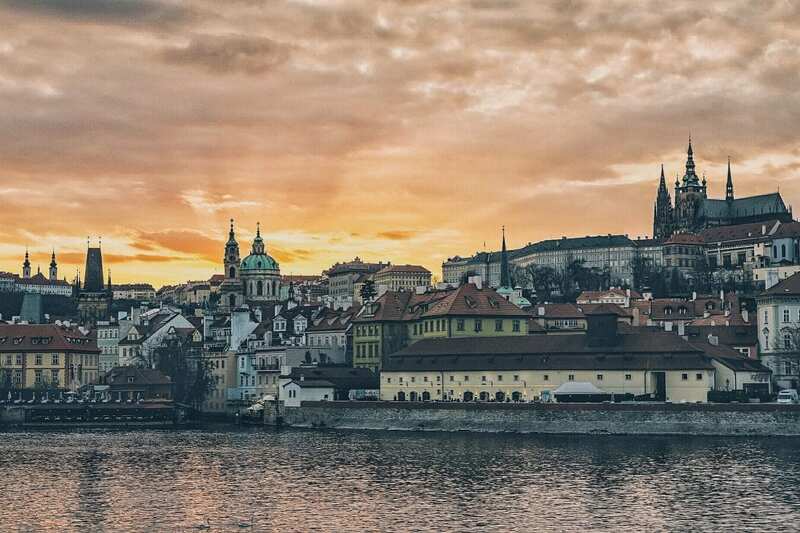 Choosing from the best hotels in Prague can be a bit of a daunting task, so we did the leg work and simplified the process for you. In our minds Prague might just be the most spectacular city in the world. It is, without a doubt, a gorgeous city. Your first views of Prague castle sitting perched over the River Vltava will certainly attest to that. 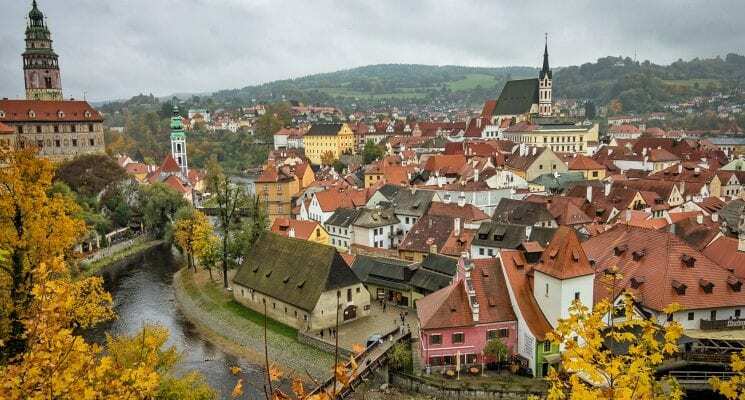 Stunning architecture is not the only thing the city offers, and millions of visitors come to Prague annually to experience the magic of its cobblestone streets and basement pubs. We have personally visited or stayed in each of the hotels below during our many months of exploring Prague, and can vouch for all of them. This list doesn’t include EVERY amazing hotel in Prague, but you can rest assured that each establishment listed is among the very best hotels in Prague. We broke the hotels down into different categories based on your budget. Below you will find the best luxury, boutique, and budget hotel options in Prague, sorted in order of most expensive to lease expensive. There is something for everyone here, and hopefully we have saved you some time in your search! We hope you guys enjoy visiting Prague as much as we have enjoyed living here. Now, without further ado, the best hotels in Prague. 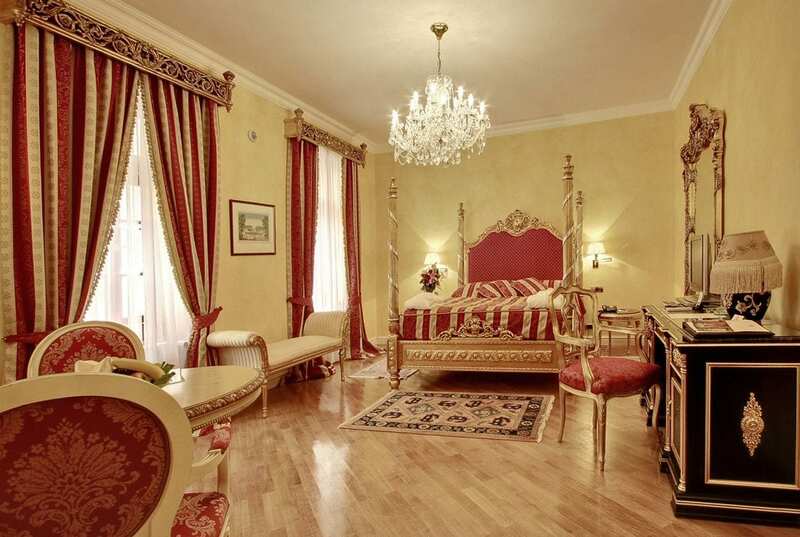 If you want to live in the lap of luxury and feel like a king or queen while visiting Prague, consider staying at the Alchymist Grand Hotel & Spa. 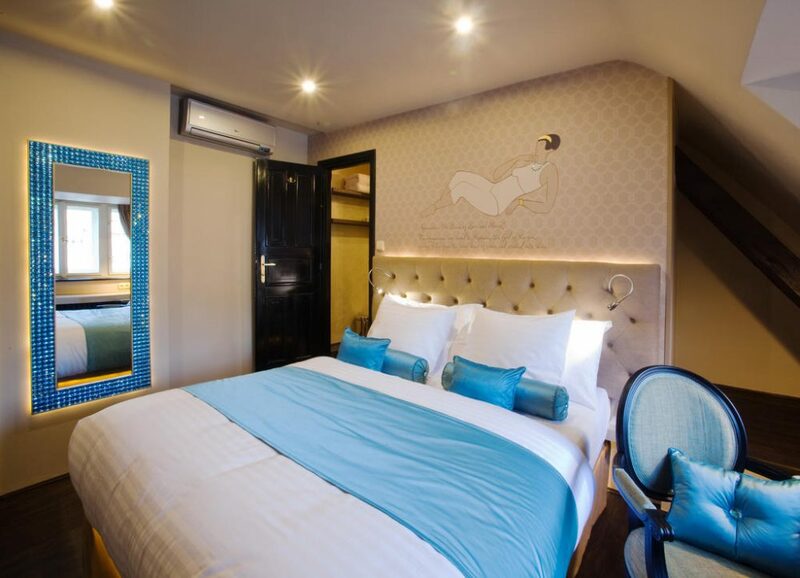 The 46 room, five star boutique hotel is located in a charming and historic Baroque style building and each spacious room lavishly decorated. The hotel has an onsite spa and health club which is located in their 11th century cellar and includes a fitness center, sauna, and pool. The hotel even offers guests daily complementary wine and cheese sessions and turn down chocolates. The Alchymist is without a doubt one of the best luxury hotels in Prague, and as such it comes with a rather steep price tag. But hey, if you can afford it – treat yourself! Spread out over seven buildings, one of which is a 13th century Augustinian monastery, the Hotel Augustine is located next door to one of Prague’s most beautiful and peaceful locations, Wallenstein Gardens. The historic building’s stunning decor is sure to please art lovers, especially those fond of Czech Cubism, and those who fancy the finer things in life. The hotel has an onsite restaurant with a seasonal menu, and an onsite bar located in the monastery’s former rectory. There is even a brewery in the hotel that produces St. Thomas Beer. If a heavy dose of rest and relaxation is in order guests can take advantage of the spa which has a hamam/Turkish bath, sauna, and steam room. There is also a fully equipped gym if a workout is required. 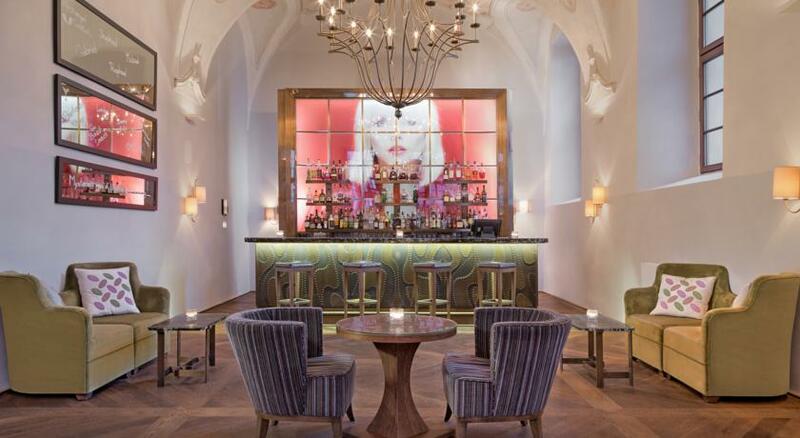 If you’re looking for the best hotel near Prague Castle Vintage Design Hotel Sax might be your best bet. 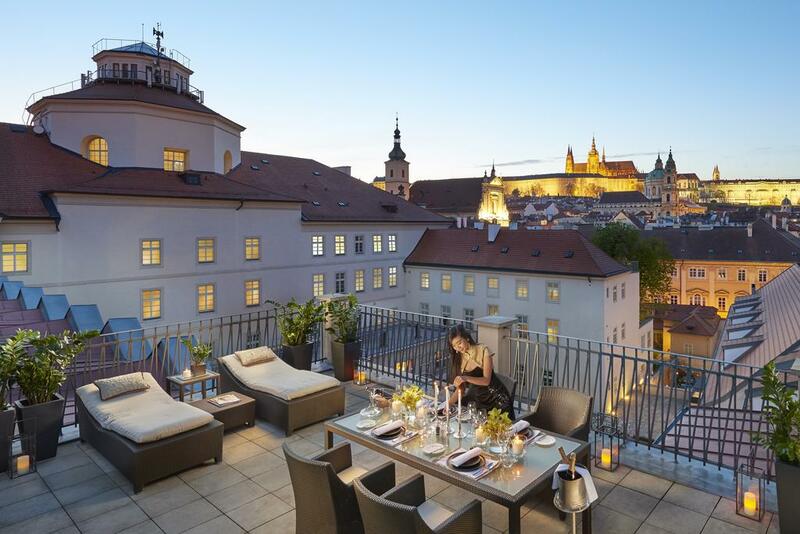 A mere five minute walk from the castle and ten minutes from Charles bridge, you can’t get any more central than this amazing boutique hotel. The brightly decorated hotel rooms are adorned with designer furniture from the 50s, 60s, and 70s giving it a retro feel. But don’t worry, outdated this hotel is not. Each room is air conditioned so you won’t melt in the summer heat and there are even flat screen TVs to enjoy after a long day of exploring. Throw a spectacular buffet breakfast on top and you have one of the best hotels in Prague. U Kocku Palace is one of the best boutique hotels in Prague and the perfect place to stay if you want to feel like royalty for a few days. 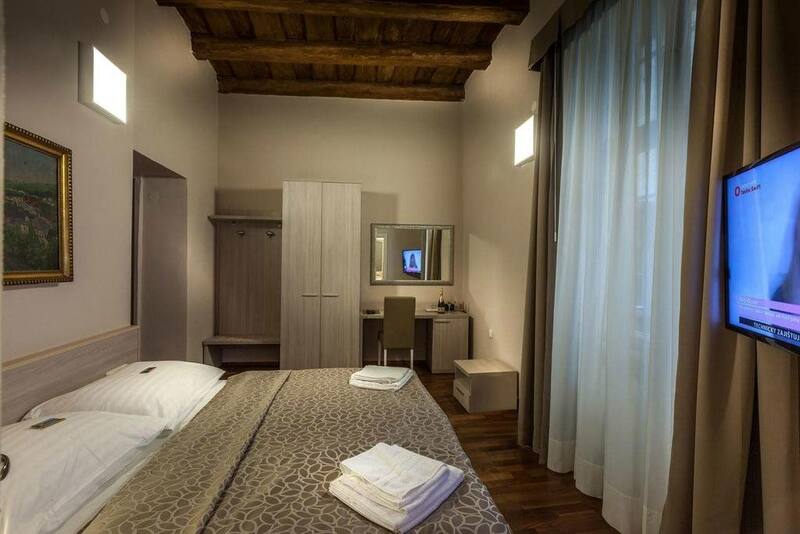 Housed in a newly renovated Baroque style building the hotel is only moments away from Old Town Square, and the rooms are simple yet elegant, comfortable, and spotless. Each airy room is equipped with a TV, internet, and safety deposit boxes. Additionally, the hotel has two restaurants, one specializing in American cuisine and the other international cuisine. 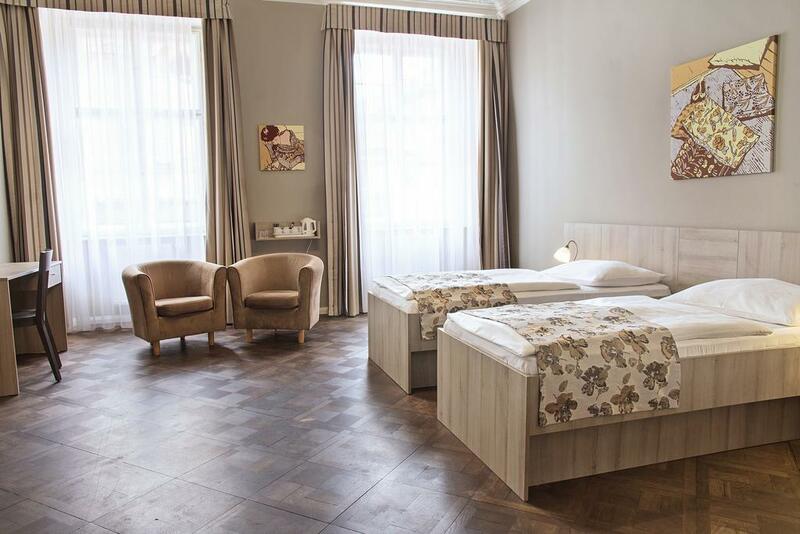 Great location, elegant rooms and affordability make Palac U Kocku one of the best and most authentic boutique hotels in Old Town, and make it one of the best options for where to stay in Prague if you have a bit of money to spend. 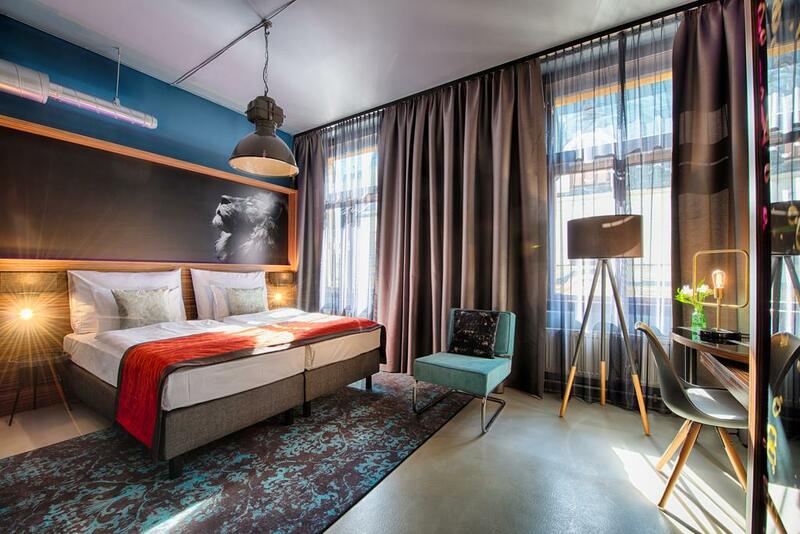 NYX Hotel Prague by Leonardo Hotels is a budget design hotel with a boutique style, located right in the centre of the city just a minute walk away from Wenceslas Square! 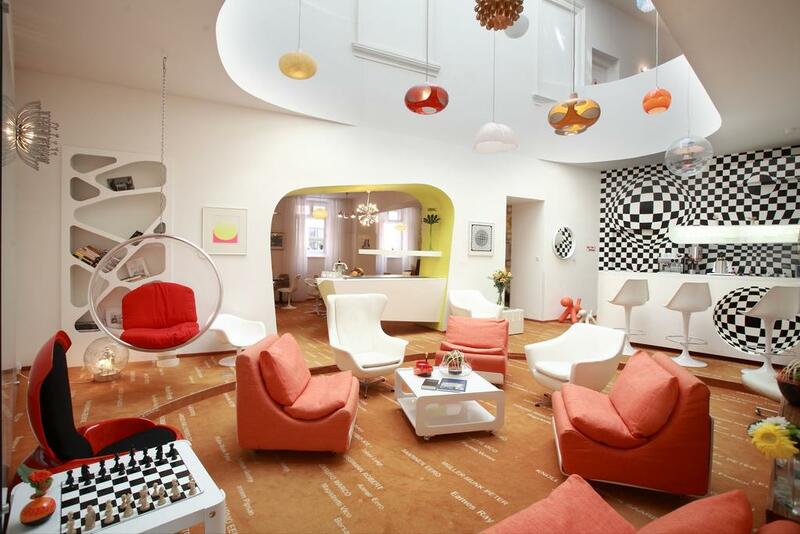 Its funky design and chilled atmosphere make it one of the best boutique hotels in Prague. If you’re stuck for where to stay in Prague then this is the ideal accommodation if you’re looking for comfort, style and location at an affordable price. Rooms are all uniquely designed with individual wall decorations and color schemes. You can definitely tell that there has been a lot of thought and effort put into each room! Rooms feature large windows, which create a bright and airy feel, and bathrooms with rain showers – a feature always appreciated! A delicious breakfast is included in some room rates, but otherwise it’s always available for a small fee. The onsite restaurant Clash Bar serves up delicious food and drinks in a great environment. Get some fresh air and chill out in the retro-styled courtyard area. The whole hotel is covered in incredible paintings that will keep your eyes open in wonder! Its central location means that you won’t have to stray far to find anything you need. There are plenty of bars, restaurants, cafes and shops in the surrounding area. The Old Town Square and its famed Astronomical Clock are just a 10 minute walk away from NYX, and the airport is easily reachable with public transport. Enjoy the comfort of a premium boutique hotel at an affordable price. 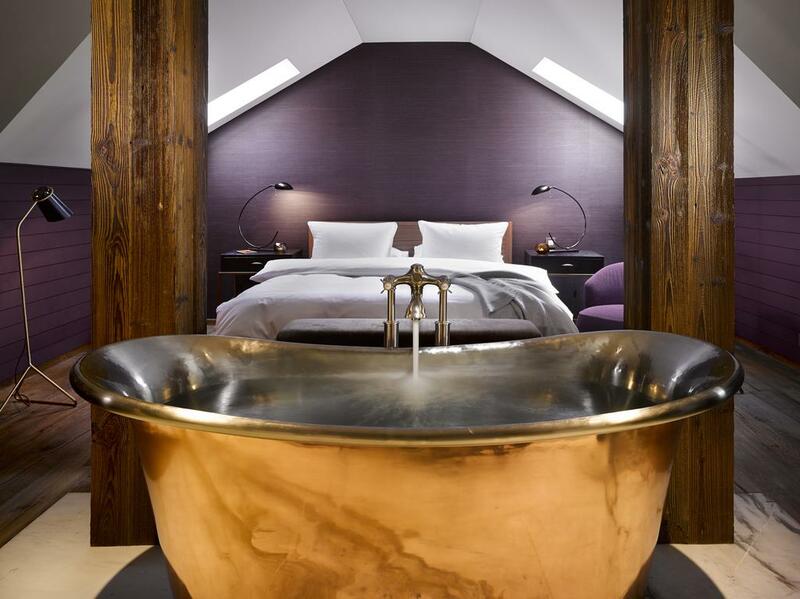 All of this and more places NYX Prague firmly on our list of best boutique hotels in the city, and to be honest, as one of the best hotels in Prague. Want more great options on where to stay in Prague? 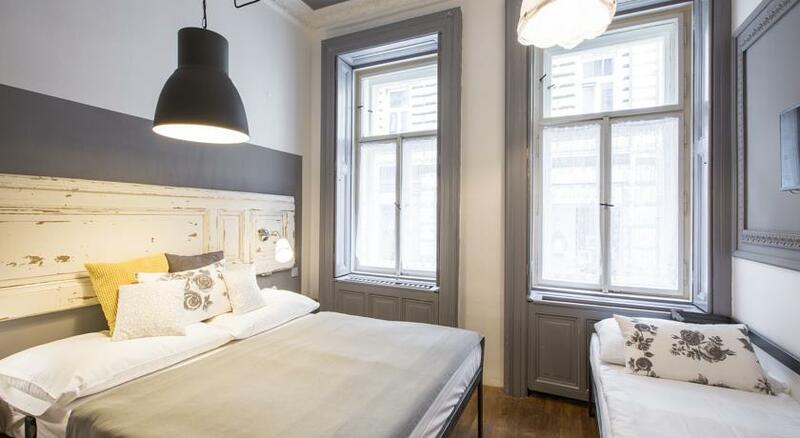 Check out our guide to the best boutique hotels in Prague! 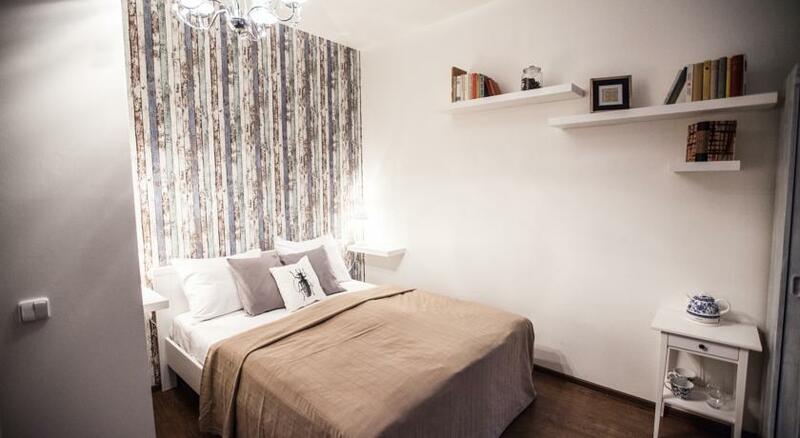 Miss Sophie’s is a small, 16 room boutique hotel located a short distance from the Old Town in one of Prague’s nicest neighborhoods, New Town. The hotel’s is housed in a 19th century Art Nouveau building and has a fresh, modern interior with artwork by Czech designer Zora Mazáčová. Guests can enjoy newly renovated rooms decorated with bright strokes of color against neutral and relaxing tones. Sophie’s has an on-site bar, 24 hour reception, a courtyard, and an onsite kitchen. This beautiful establishment deserves all the praise that has been heaped on it, and is absolutely one of the best places to stay in Prague. The small, nine room Nicholas Hotel Residence claims to be “Pragues Most Charming Little Hotel” and we’re inclined to believe it. Rooms come complete with wood floors, exposed beams, cheery furniture, and plenty of light. The property is non-smoking, includes free complementary continental breakfast, and a 24 hour reception. Charm. That’s the word we think of when we think of the Bed&Books Art Hotel. This adorable four star hotel has 18 uniquely decorated rooms with all the amenities you might need, including an onsite kitchen, minibars, washing machines, and free wifi. The hotel is extremely clean, excellently located, and highly rated. A great choice for anyone looking for a fantastic hotel at an even more fantastic price. 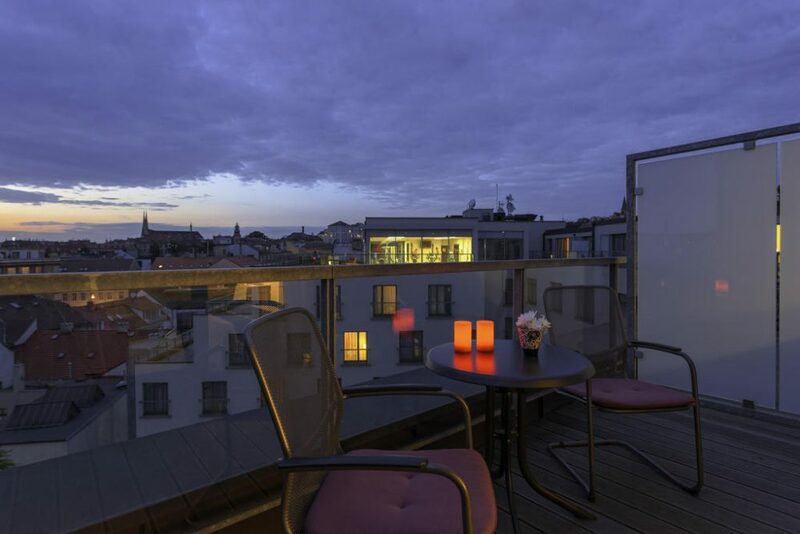 If you want to be in the center of it all and not destroy your budget on accommodations, the Prague Boutique Residence could be your best bet. This ten room hotel is only a few steps away from the Old Town Square and Astronomical Clock, yet is usually a steal as far as its rates go. Rooms are simple yet warm and cozy, the staff is friendly, and the building is beautiful. There is wifi throughout, mini-bars in all rooms, and even a small guest kitchen on-site. One word of caution, the reception desk is not 24 hours so be sure to arrange your arrival with staff ahead of time. We’re a sucker for family-run accommodations, so we couldn’t resist including the Dahlia Inn in our list of the best hotels in Prague. Especially since the hotel aims to feel like a second home for guests. The boutique hotel has eight stylish rooms, each with hardwood floors, modern art, and comfy beds. The staff is super friendly and helpful and will even welcome your pets if you let them know ahead of time. 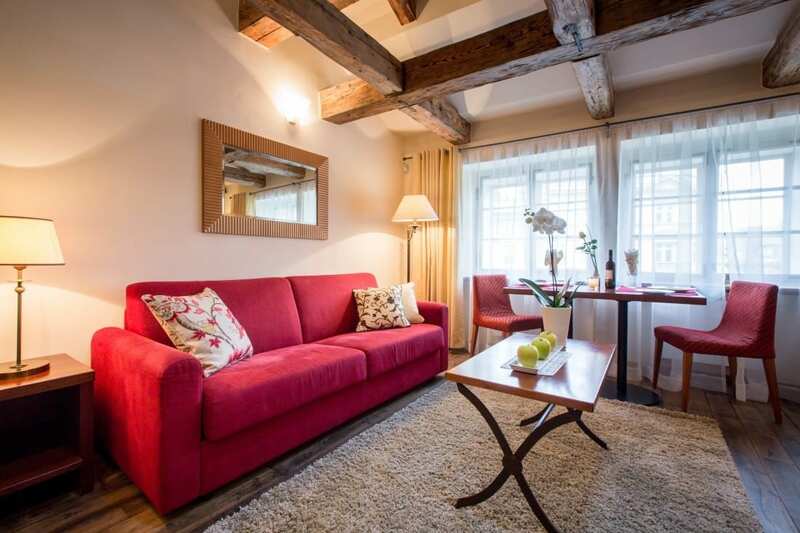 If you’re looking for an intimate, stylish, and friendly hotel in Prague, we recommend the Dahlia Inn. 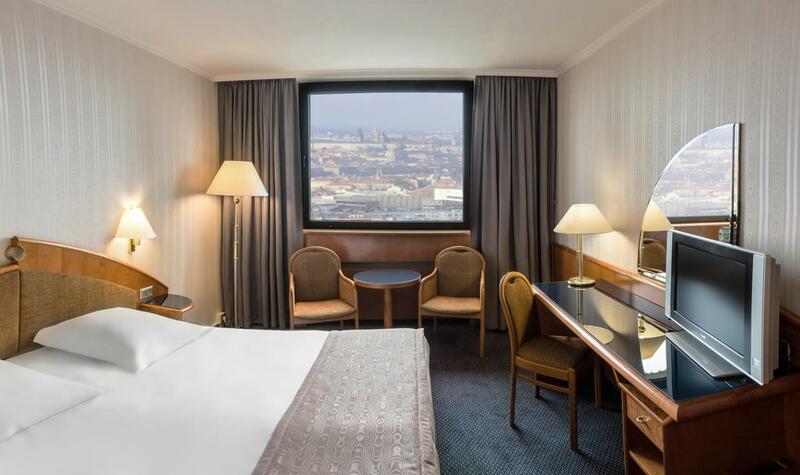 Panorama Hotel Prague is a great place to stay in Prague if you’re seeking accommodation with all the fabulous amenities of a hotel, without the price tag. The hotel is located just 200 yards from Pankrac Metro Station, where you can reach the centre of Prague in no time at all. Rooms are air-conditioned, spacious and comfortable – providing you with everything you need for a fantastic nights sleep. The hotel features a wellness area at the Panorama comprises a modern gym, a sauna, a steam bath and a hot tub, which you can enjoy for a small fee if you’re staying at the hotel. The onsite restaurant Mezzo comes highly recommended, and serves delicious Czech and international cuisine at very reasonable prices. You can also enjoy a buffet style American breakfast in the morning to energize yourself for the day ahead. If you’re wondering where to stay in Prague while on a tight budget then look no further than Panorama Hotel, which we can definitely say is one of the best budget hotel options in all of Prague. Each room comes equipped with air conditioning, safety locker, minibar, writing desk and TV so you can sit back and relax with your favorite movie in the evening. Test out some traditional Czech cuisine at the Atrium Restaurant, an open plan restaurant that has a great relaxed atmosphere. A buffet breakfast is also available, offering fresh foods to prepare you for the day ahead. Enjoy cocktails in the marble hall which features a water fountain that lights up with different colors! 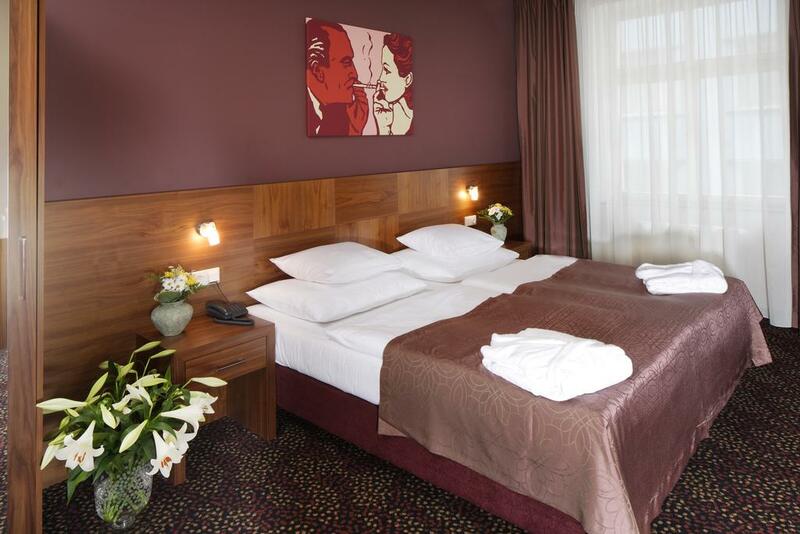 A;; this and more add up to making the Grand Majestic one of the best budget hotels in Prague. 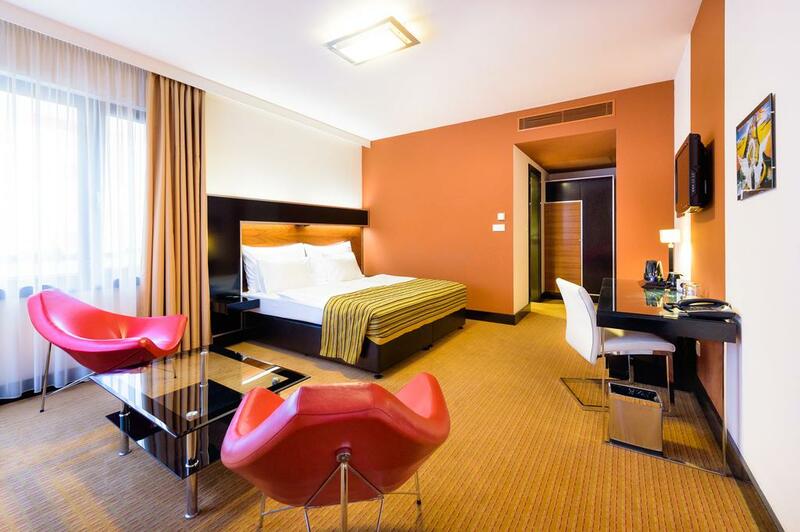 Park Inn Hotel Prague dates back to 1907, and is situated in a stunning art-deco building which provides all the modern features you would expect from a great hotel. The best thing is the price tag! 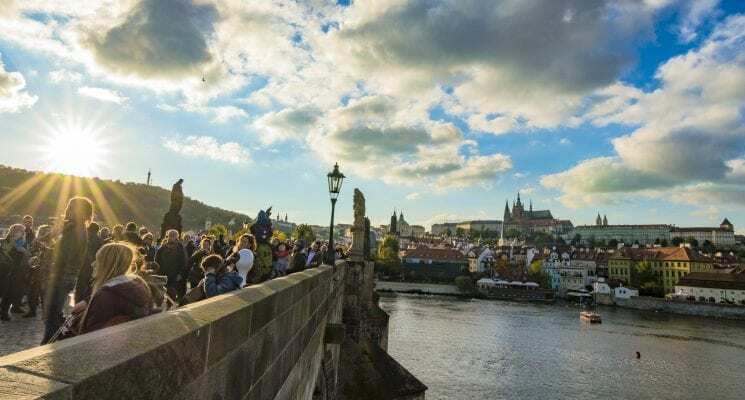 Located in Prague’s most scenic second district, you’re just a shot walk from the Vltava River and Vyšehrad Castle, with stunning views everywhere you look. The location is a fantastic base from which you can explore the city, with easily accessible public transport links. Guests can take advantage of a rooftop fitness centre, and work out to fantastic views of Prague! 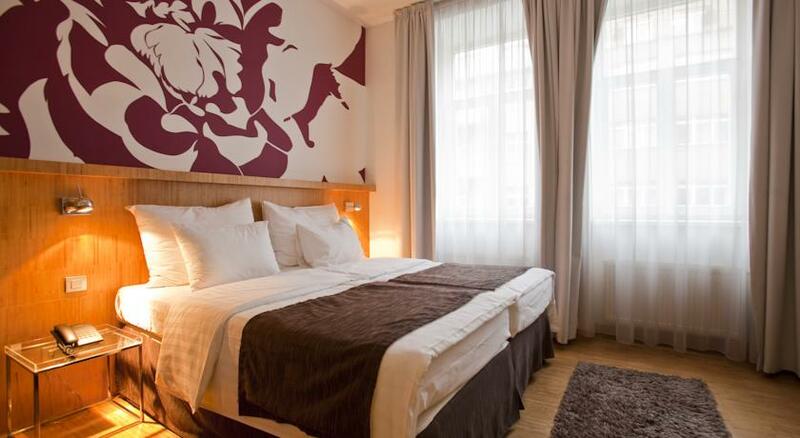 If you can’t decide where to stay in Prague and have a budget to stick to, then 1.Republic Hotel is a great budget option in the centre of the city. The hotel enjoys a quiet location within walking distance to all of the city’s main attractions. 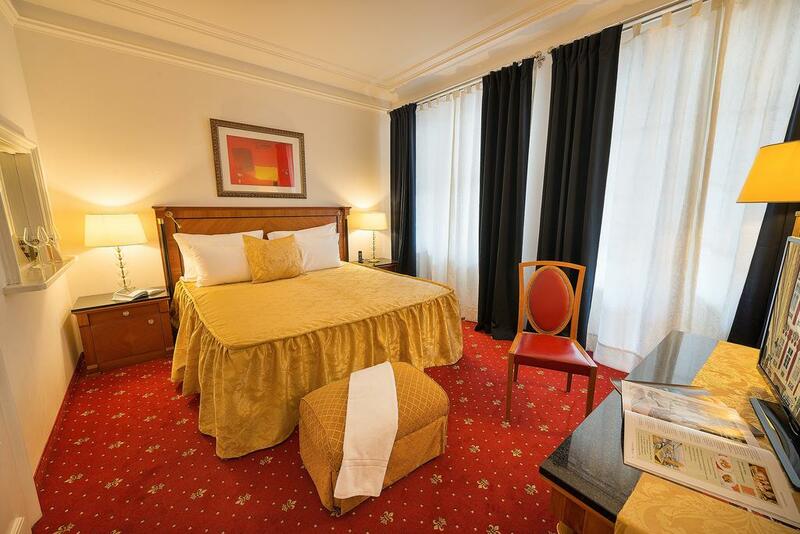 It’s just 200 meters from Prague National Museum and 300 meters from Wenceslas Square. There are a few metro stations in the surrounding area, so getting anywhere in this beautiful city will be a breeze! 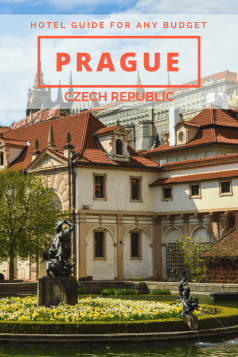 So there you have it folks, that is our guide for where you can stay in Prague based on your budget. Make sure to check out all of our articles on Prague and the Czech Republic to get the most out of your visit! As always happy travels, and we’ll see you on the road! Another informative & interesting article with great pictures. Well… You missed MY favorite boatel!!! The Albatross!!! A great choice!!! Right on the Vlatva!!! A few steps from everything. Great food, not a tourist made site, even though a tourist sight itself. We’ll be back some day!!! Do you know anything about Hotel Elite? It looks good online. My main concern is parking. They say they have valet parking. Is that a safe area to park a car?